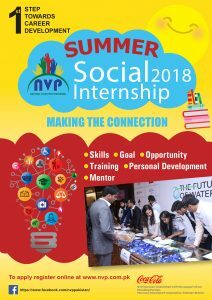 National Volunteer Programme announces SUMMER Social Internship Programme 2018. The programme aims at providing University students with the opportunity to gain practical exposure of working in community service organizations. 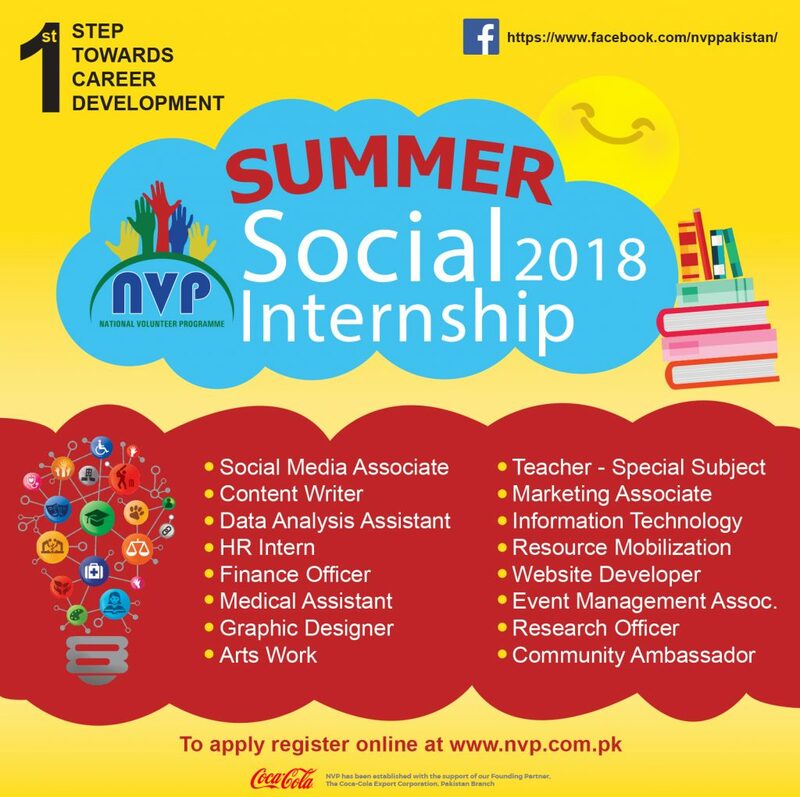 It gives you a glow of studying how these Not-for-profit Organizations in Pakistan have been working devotedly, for improving quality-of-life of underprivileged community.